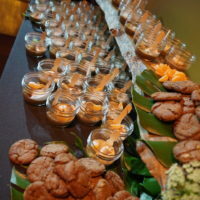 With a growing office population, the HR manager was tasked with creating the holiday event at the J-frog main office. 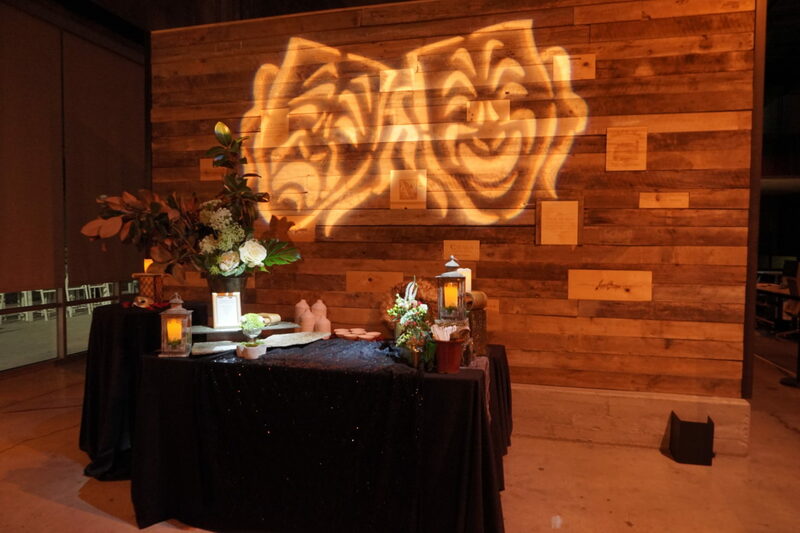 Her goal was to transform their space into a dynamic themed venue and stage their urban warehouse for the CEO speech and an immersive performance. 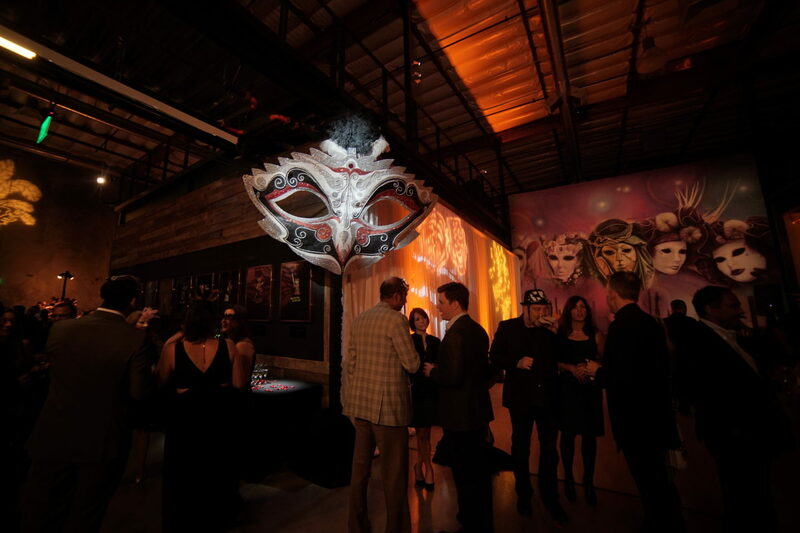 Given the beautiful but very modern environment and a warehouse space that was less than elegant, inspire was called in to make the masquerade happen! 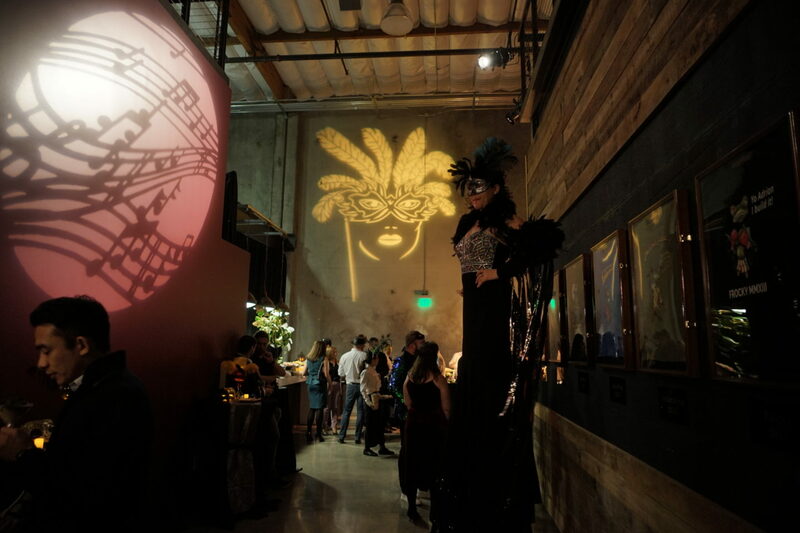 We had our work cut out for us; turn the office into a Venetian masquerade ball, turn the warehouse into a TED-Ex style theater, and stay within the strict budget limitations. 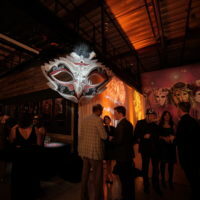 We leveraged our expertise in lighting design, costumed performers, and our connections with decor vendors, to focus attention on the entrance, creating an awe- inspiring welcome that would leave the guests speechless as they stepped into a masquerade wonderland replete with strolling champagne dresses, a Venetian themed backdrop, and larger than life masks. 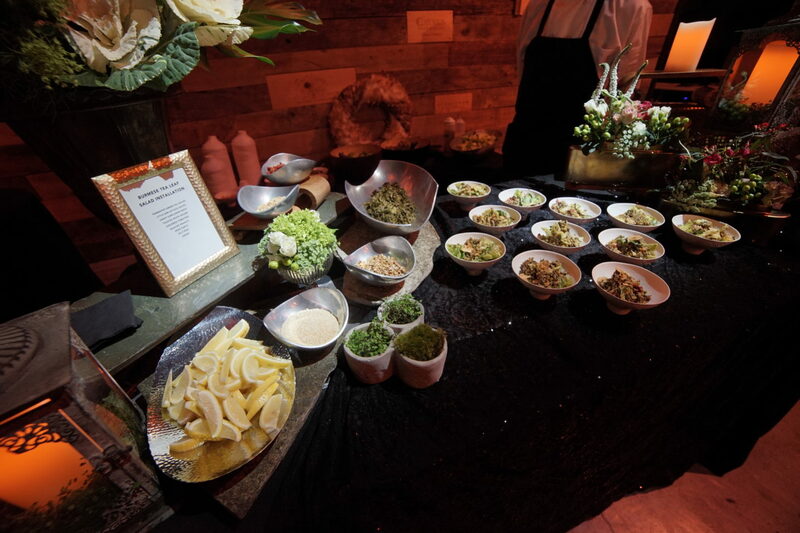 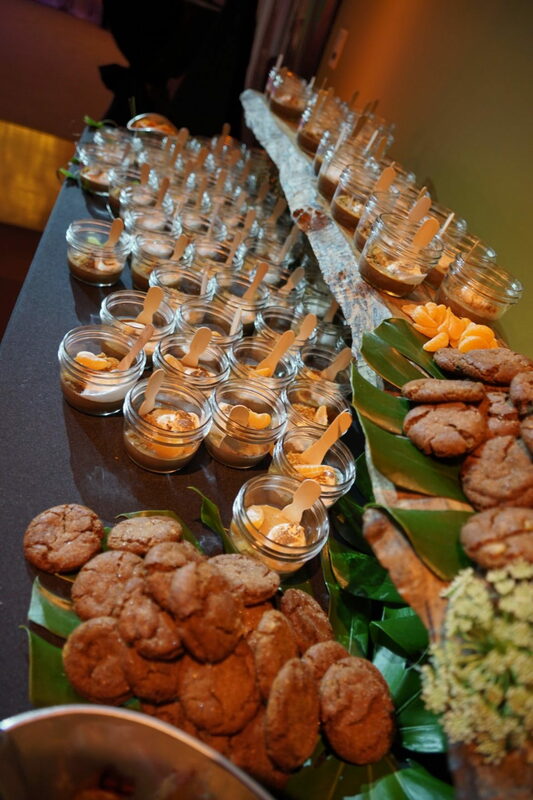 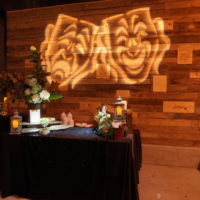 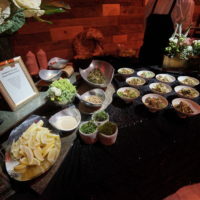 We used the empty wall spaces in the loft style office to project Masks and other custom gobos, and brought in our favorite high end caterer to theme it out with servers dressed to the hilt. 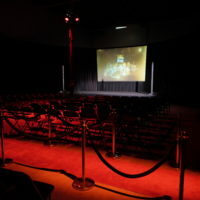 The CEO's presentation was riveting. 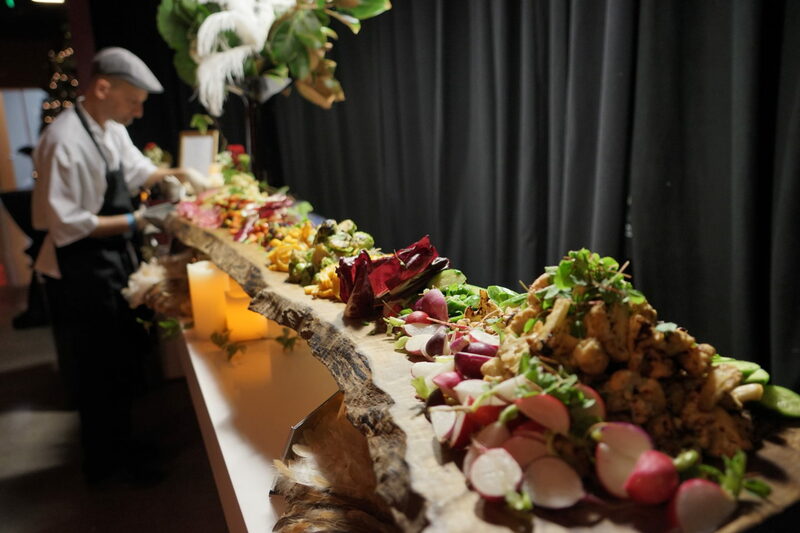 As guests walked into their "warehouse", they ended up in a very different environment indeed. 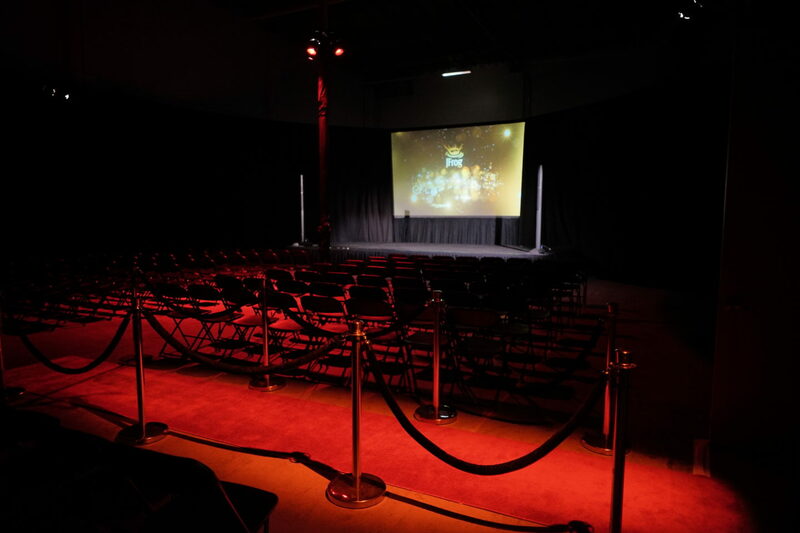 We draped all of the walls and used ellipsoidal lights to focus a red glow on the chairs while we popped the stage with a vibrant wash. 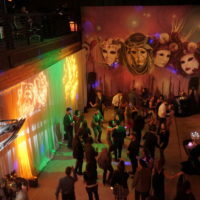 The warehouse they knew was a now an immersive theater experience. 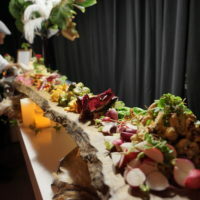 Great drinks, a hip DJ and amazing farm to table cuisine sealed the evening, on time and on budget. 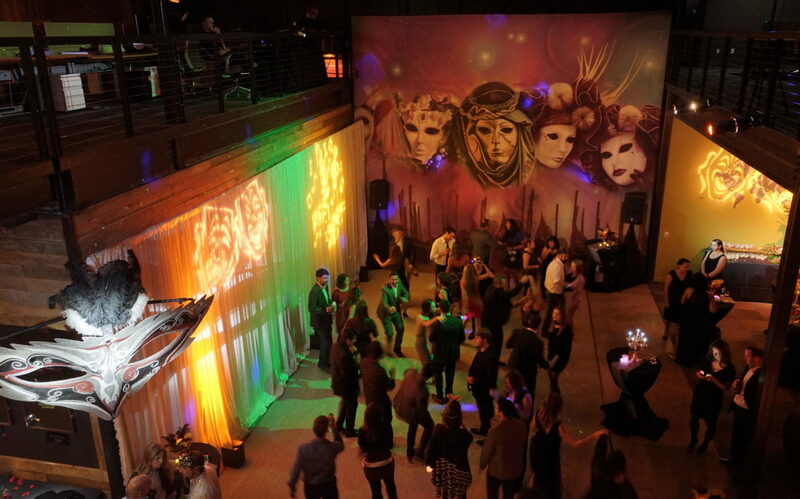 "Inspire threw the best holiday party we have ever had, or ever could have imagined. 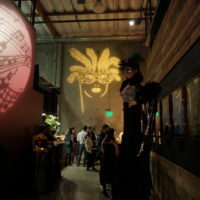 We are a start-up software development company in the valley, and we held a masquerade themed party that blew the socks off all our employees. 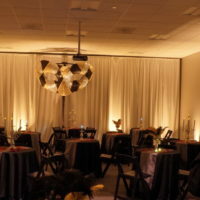 They completely converted our office space into a whole different venue, and had high-end quality decorations, performers, lighting, sound/AV, CATERING WAS AMAZING, and the DJ! 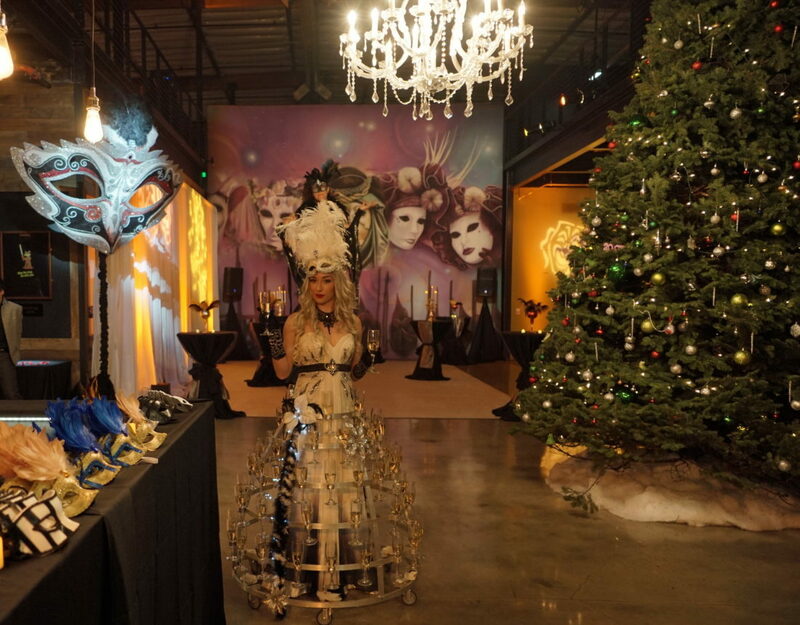 Jud, Sander, Dise, you are ringmasters in a crazy industry, and I couldn't have asked for better partners this holiday season!"